The Buck Boiler by On Time is an all-electric system that will clean a deer skull and have it ready to mount in 8 hours or less. Water and dishwasher detergent are required, and the heating element brings the water to a boil and sends an electric current through the water. The electric current and detergent more effectively clean flesh from the deer skull, so no scraping is required. 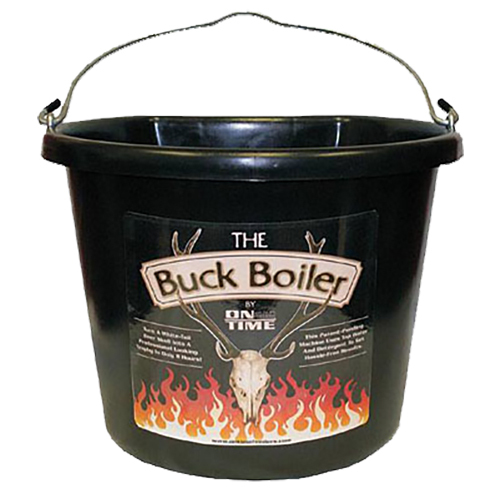 The Buck Boiler is a safe, effective, and inexpensive way to prepare European-dressed hunting trophies.